MindWare is a creator, manufacturer, and distributor of Brainy Toys for people of all ages. 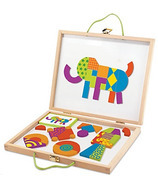 The diverse product line includes games, puzzles, brainteasers, arts and crafts activities, mysteries, mazes and more. MindWare's goal is to place high quality toys that teach and entertain into the hands of children and adults. MindWare is a creator, manufacturer, and distributor of Brainy Toys for people of all ages. The diverse product line includes games, puzzles, brainteasers, arts and crafts activities, mysteries, mazes and more. MindWare's goal is to place high quality toys that teach and entertain into the hands of children and adults. Pretend play with the Playful Chef Baking Set, or build a marble run with the Q-BA-MAZE, or use your creativity and Paint-Your-Own Porcelain Tea Set.